To protect an intact and well designed delta area. The area is an important staging area for ducks and waders, and has beach beds with distinct vegetation types and several rare species. Børselvosen is a nice designed river delta with several interesting environments. 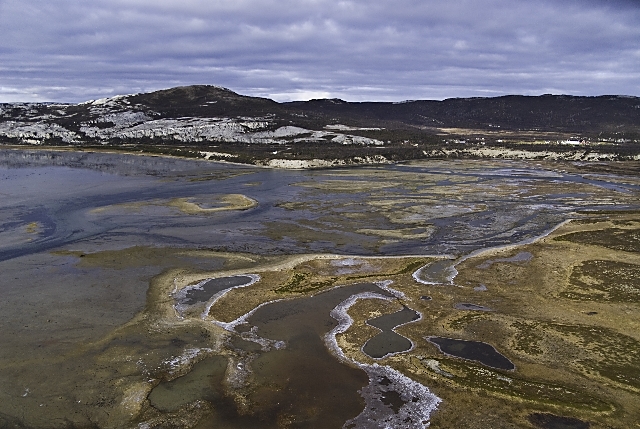 The sea meadows in the area stand out from the usual beach beds in Finnmark, in that they contain a number of rare species and plant communities. It is the light dolostone (rich of lime) in the area that is the origin to the rich vegetation. Particularly interesting species are among others: Dwarf Clubrush carex microglochin, carex bicolour and carex serotina. Click the picture to open the photo gallery! Børselvosen is an important biotope for birds, and is particularly important as a staging area for waders. 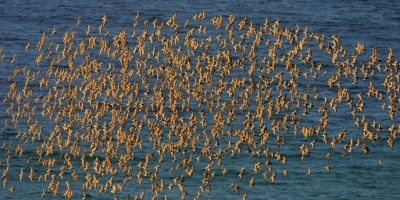 There are registered 20 species of waders in Børselvosen. One of these is the Knot. 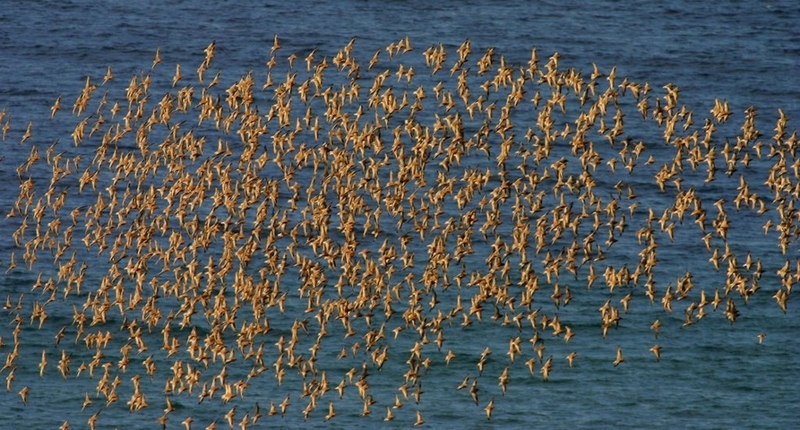 On the spring migration in May, it can be observed in large flocks in several localities in the Porsanger fjord. After having eaten up on the goodies found in the water's edge, the knots fly in one stretch to breeding areas from Greenland to Ellesmere Island in arctic Canada. 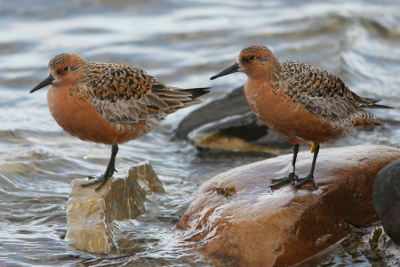 Other numerous species by Børselvosen include the Dunlin, the Bar-tailed Godwit and Ringed Plover. The vegetation is protected against all harm and destruction. New plant should not be introduced. It is allowed to pick mushrooms. All game, including winter lair, nests and eggs, are protected against all harm, destruction and unnecessary interference. Hunting, trapping and the use of firearms are not allowed. Dog collar is mandatory for the entire year. By car follow road 98 to Børselv, by the Børselv Bridge follow the road sign to Veidnesklubben. After ca. 2.5 km, there is a junction with a great view of Børselvosen. At the exit, there is an information board about the reserve. 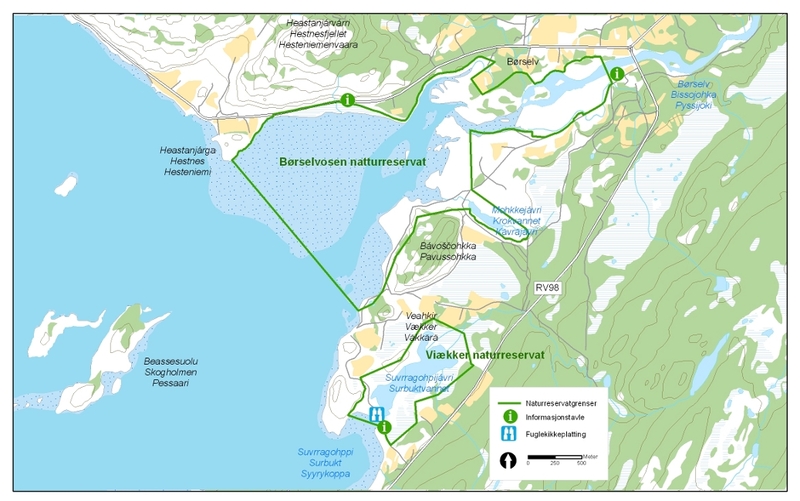 Stabbursdalen national park service centre is located on Stabbursnes about 15 km north of Lakselv by E6. Here you can get information on the nature reserve and purchase fishing and hunting licenses. In addition, the national park services centre has got a permanent exhibition and a video show about the nature of Finnmark. Information on accommodation and services is provided by Arctic Active.